A lot of them have been evacuated as well, save for a crew to make sure that the oil does not leak. Greek Aframax tanker SOLA TS collided with Norway Navy frigate HNOMS HELGE INGSTAD in the morning Nov 8, probably around 0300 UTC, in North sea north of Bergen, Norway. The military said the ship, which had recently taken part in the vast North Atlantic Treaty Organisation drill Trident Juncture, is taking on water. The frigate was lying in the water nearly on its side with its stern under the water. The 134-meter (442-foot) long frigate, built in Spain in 2009, is part of a NATO fleet in the Atlantic. 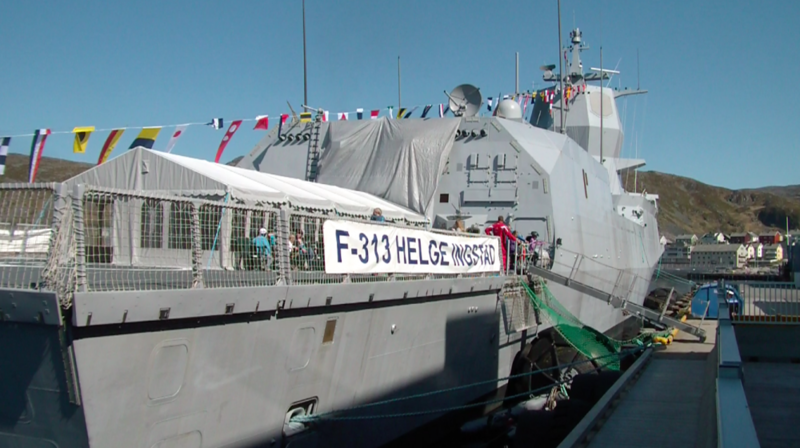 One Norwegian news outlet reports that according to tracking data, the frigate's geolocation system was turned off at the time of the collision, noting, however, that the armed forces of Norway have neither confirmed nor denied that. Johan Marius Ly of the Norwegian Coast Guard said the extent of leakage was unknown. The fuel was expected to evaporate quickly.